Stainless Steel Shrink Wrapped Stainless Steel Twist Rod is a homogeneous alloy with a flat bar with CO2 / MIG, which is electrically welded to the meat. same Please check the welding work to compare with manual labor. Quality assurance work guaranteed. Customers must prove before deciding. Based on The size of the hole is the same. The melting is all on one side. Zinc plating thickness over 75 micron. Strong and resistant to erosion longer. 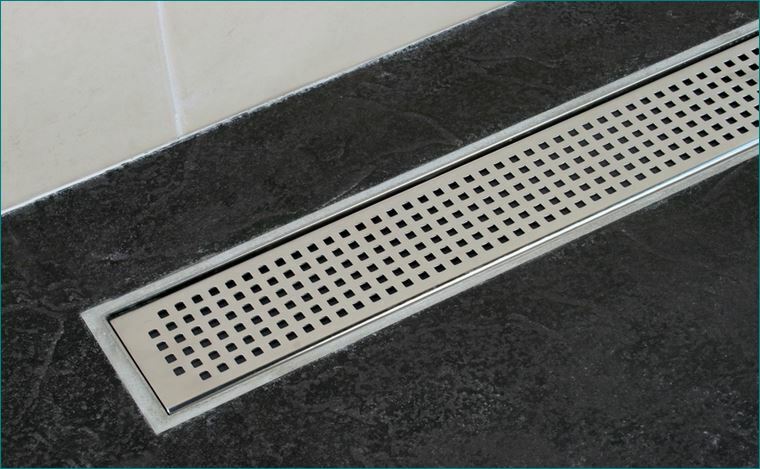 In general, the standard of the drainage grilles is 25 cm wide and 30 cm wide. 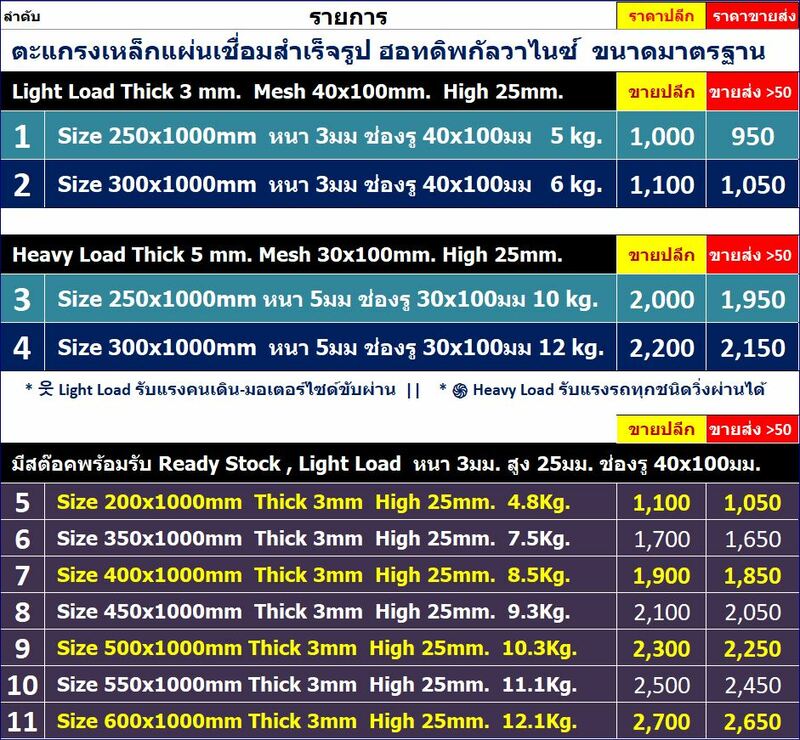 Customers only need to design a shoulder support width 25.5-26.0 cm or 30.5-31.0 cm to be able to buy all types of sieves to put immediately. 6) Design and calculation of the maximum strength of more than 12.5 tons in the version of the steel thickness of 5mm. 30mm. Suitable for drainage. Finalists A large trailer or trailer runs safely. 7) If the customer is prepared for a shoulder height greater than 25mm. Just use the iron on the shoulder to the higher. Then use the sieve. 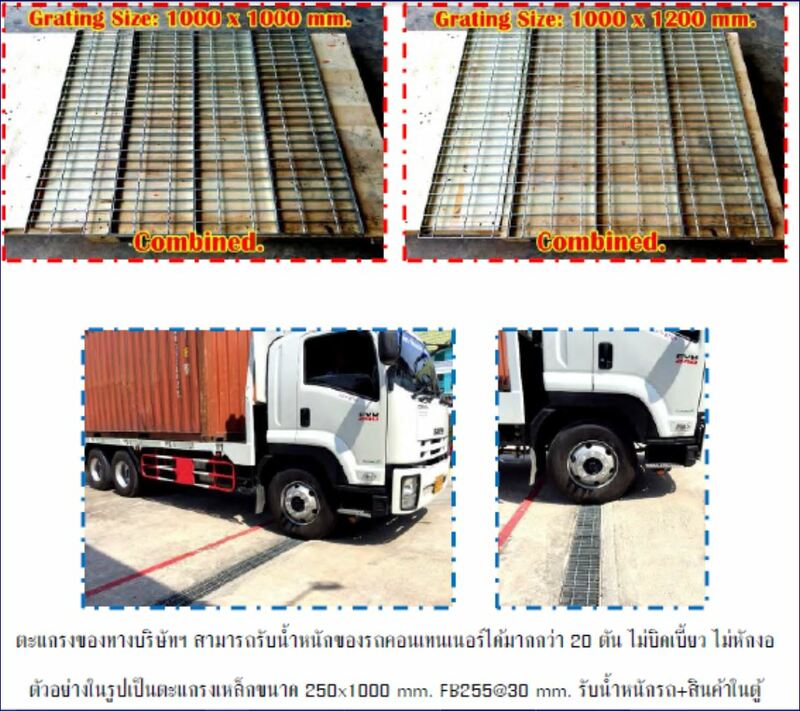 The 5mm thick steel thickness of 25mm with a small hole of 30mm is enough to handle the large trailer. Save money with the perfect design. 1) The price offered above. Excluding VAT and shipping (the price comes at the factory). 2) Where the height of the hole is the same as in the table. But the difference in width. Customers can immediately calculate the price. Compared to the price per square meter. 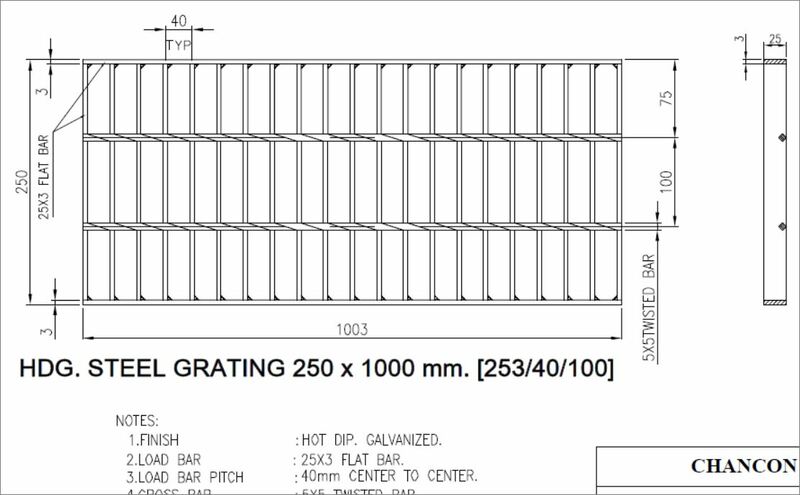 In the table above Then multiply the grating area that the customer wants. 3) High (Bar High) (Requires 25mm or 50mm or 75mm or higher). 1. Ready-to-use steel grate ready for delivery. 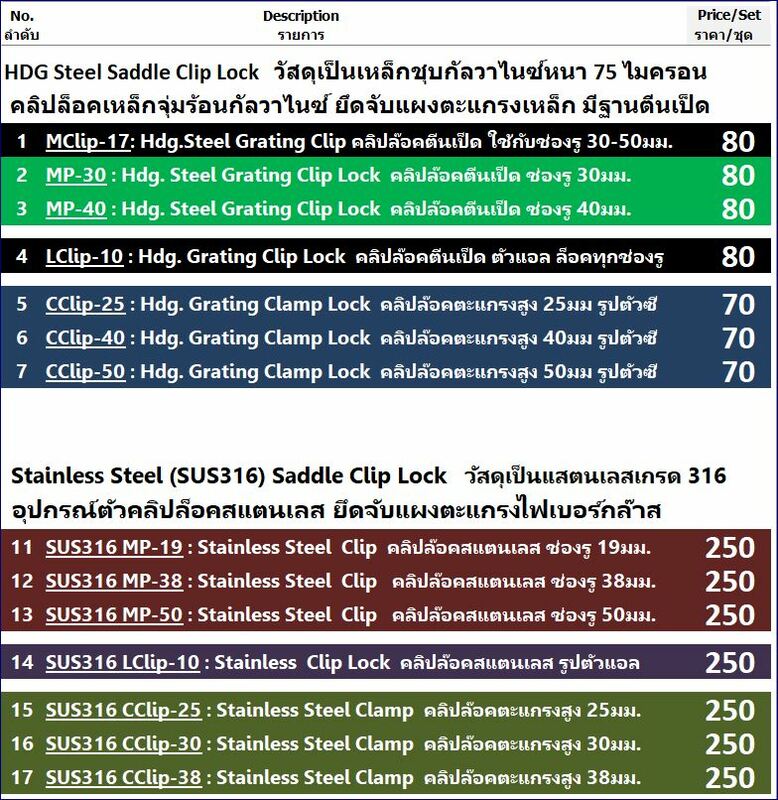 Standard size 2 sizes 25 cm and 30 cm in case of customer need size 50x100cm. Can be applied to welding or placing 25cm two sheets together. 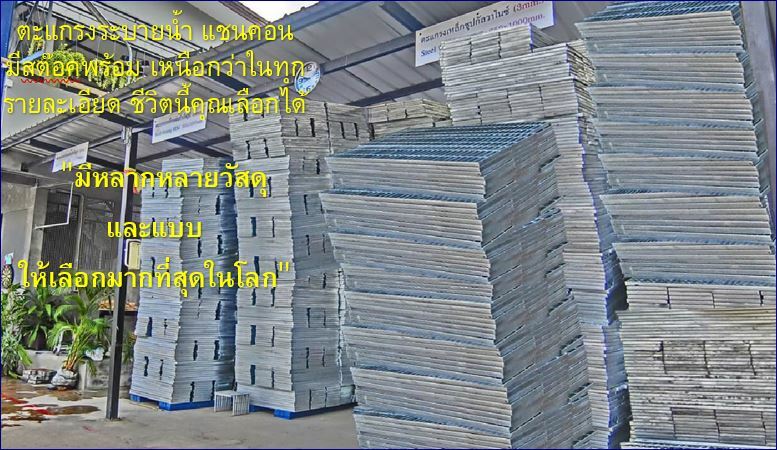 In case of using 100x100cm, 4 sheets of 25 cm or 60x100cm or 100x120cm can be used. 2. 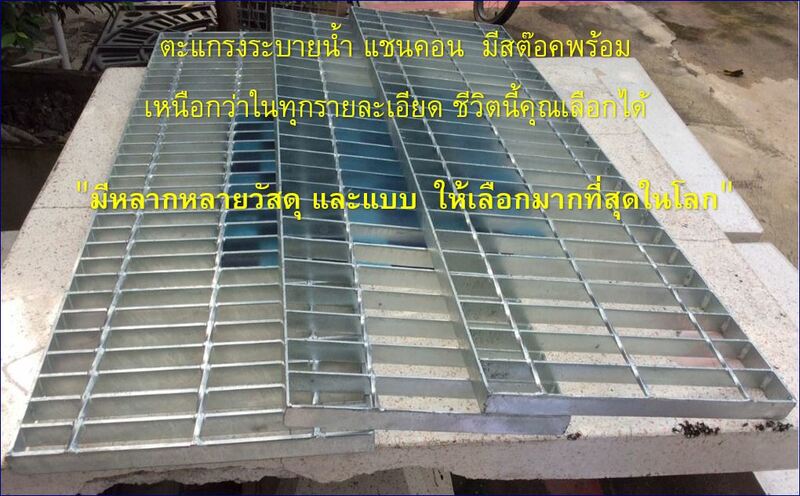 The steel plate used to make the sieve is 2 thicknesses of 3mm and 5mm. 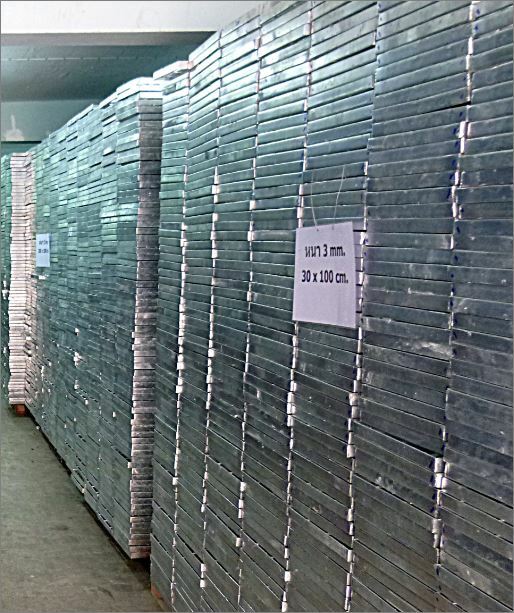 The thickness of 3mm steel sheet is designed to use less force than the lift truck. In case of need to use the force from the car through the wheel from six wheels to ten wheels to large trailers. It is recommended to use a thickness of 5mm. Because it is designed to be smaller and thicker, it has a high strength of over 12.5 tons. 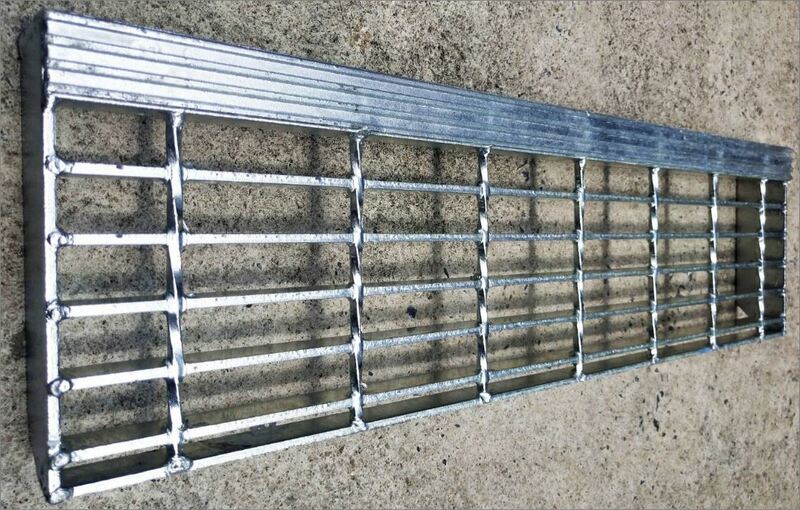 Made to order Steel Grating – Stainless Steel Non-slippery / skid In addition to the standard sieve, the stock is ready to receive the goods immediately. The customer needs in addition to the size shown in the price table. Customers can compare specifications. 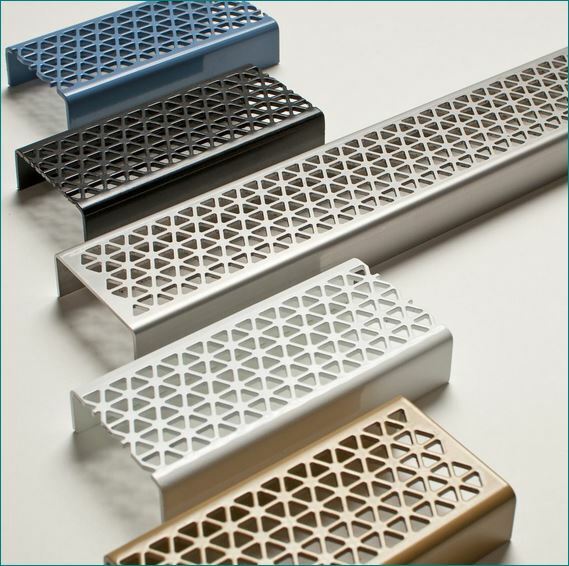 Calculated from Price per square meter, but if required, different styles and materials such as grating, serrated or serrated mesh. Customers can send a detailed, high-profile inquiries by email. 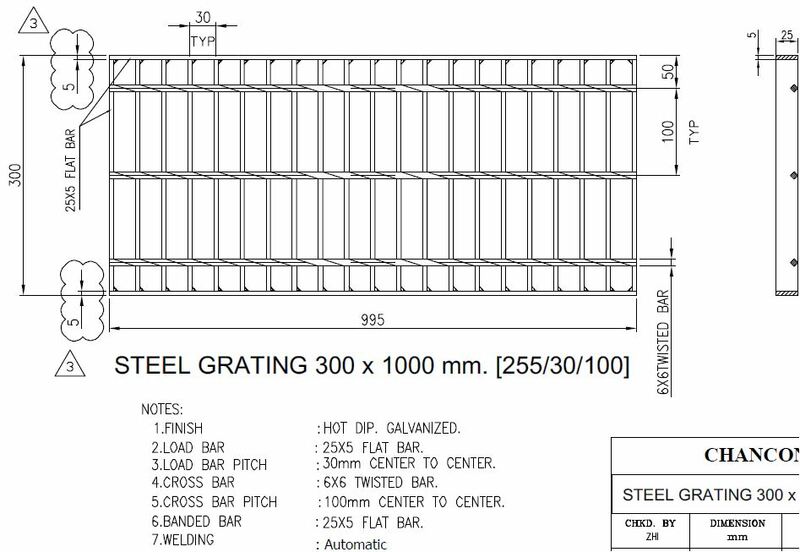 Another option for customers who want to use steel grate beyond standard size. 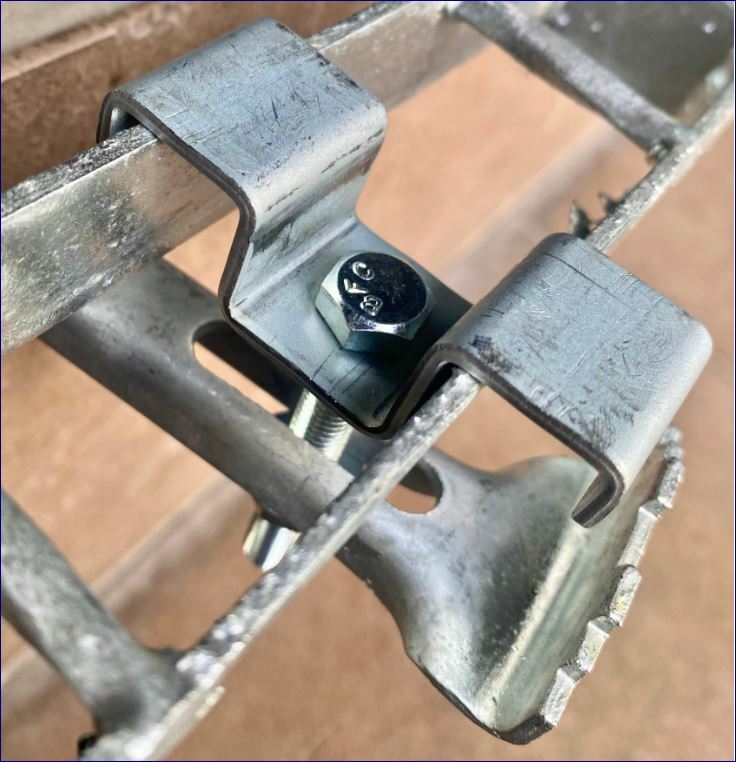 The company can distribute the width of the standard sheet to be welded or placed together to get a new size according to the work of each area immediately. Example of a step ladder. 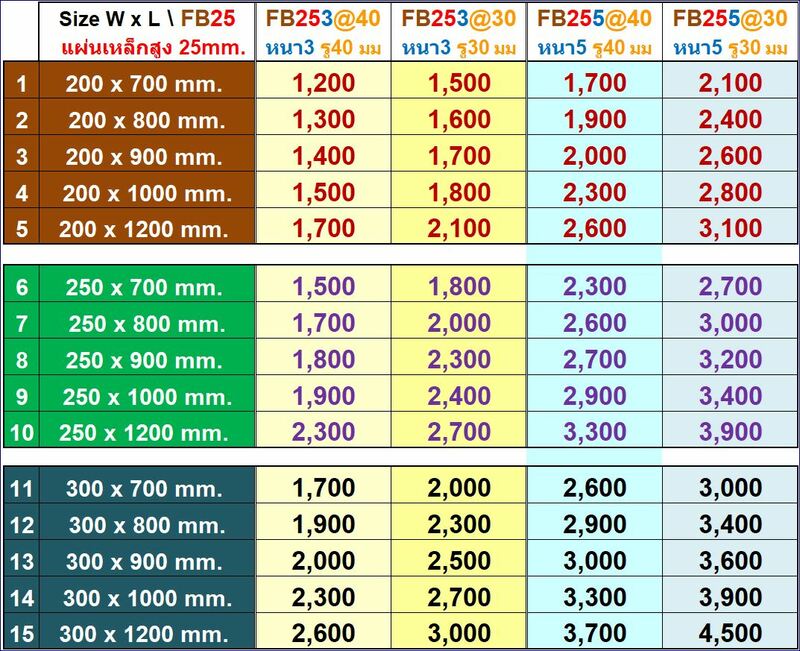 Floor planks Standard sizes can be combined from 2 3 4 5 .. The overall plate from different widths together. To get a new size. 1pcs:25/30cm.|| 2pcs:50/55/60cm.|| 3pcs:75/80/85/90cm.|| 4pcs:100/105/110/115/120 cm. 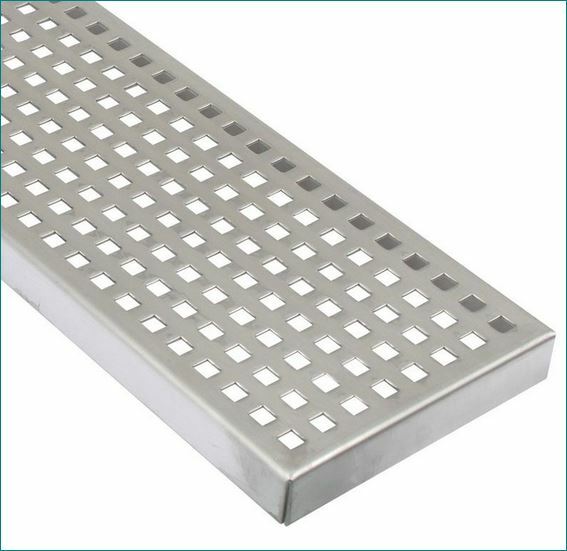 Application advantages include the width of the standard steel grating plate. Match to specific areas. 1. Save time, buy and receive goods immediately. There are more than 5,000 stock ready to ship without waiting for the order. In general, it takes both welding and plating resistant to rust over 15-30 days. 2. Price is cheaper than order. Because cost savings. In order to produce the size that customers want. The price of raw materials may be calculated. Add the welding process and send to rustproofing. 3. Get high quality products. The production process is standardized. It’s a robot-like thing to make every item equal. The welding and plating are homogeneous on all sides. 4. The product is standard size, customers can set the size immediately without calculating additional details. Only need to scratch the surface with rust-resistant paint again after the combination. 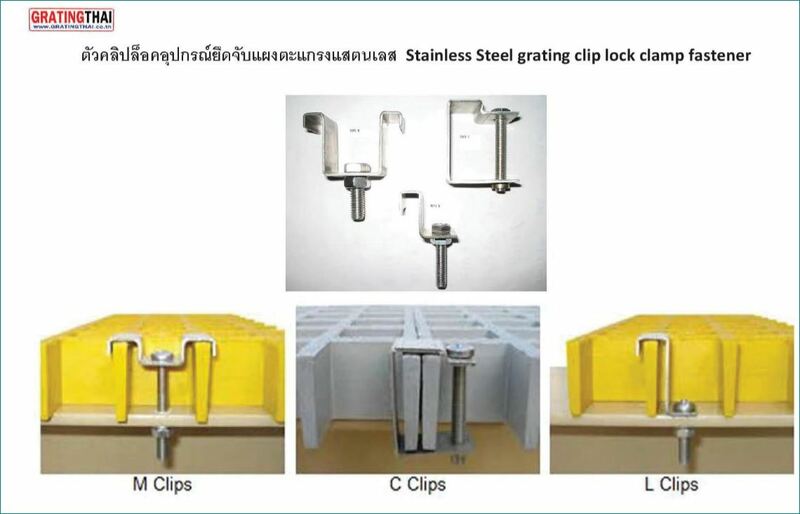 Available stock Standard production process By using a twisted rod twist rod, it is coextensive with the flat bar. Electric Resistance Welding (ERW) is a method of welding by compressing strands into flat bar and passing through the flux. Electricity falls between stranded steel and flat steel. Resistance to electric current causes the edge of the hot red iron at temperatures between 1200 ° C and 1400 ° C (2200 ° F to 2600 ° F) without arc to allow the steel to melt. Then it is produced as the size of the customer. 1. Automatic welding system to make the joints smelter homogeneous stronger by welding with CO2 / MIG system, which is electrically welded to the same melted meat. Iron wire mesh is smooth. And stronger than steel welding. 2. 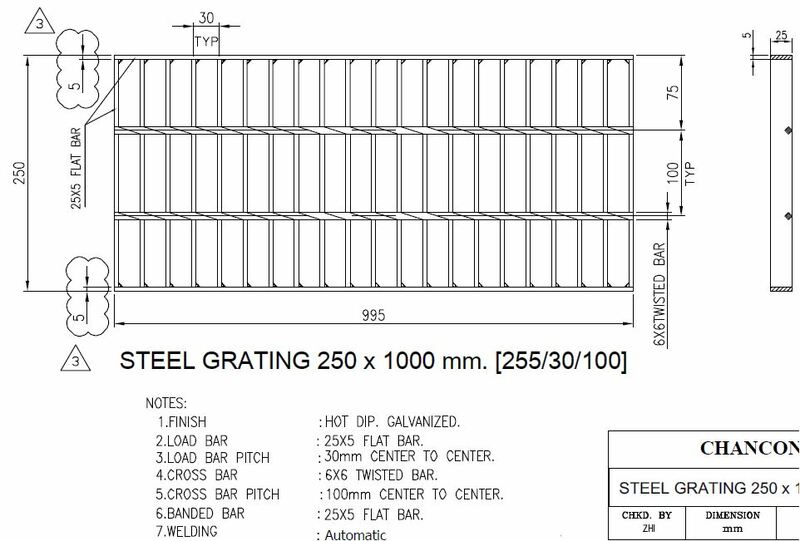 Designed for the best possible placement of steel bars and grids. It is lightweight and light weight. The maximum force. This ensures that both welds and structures are strong. 4. 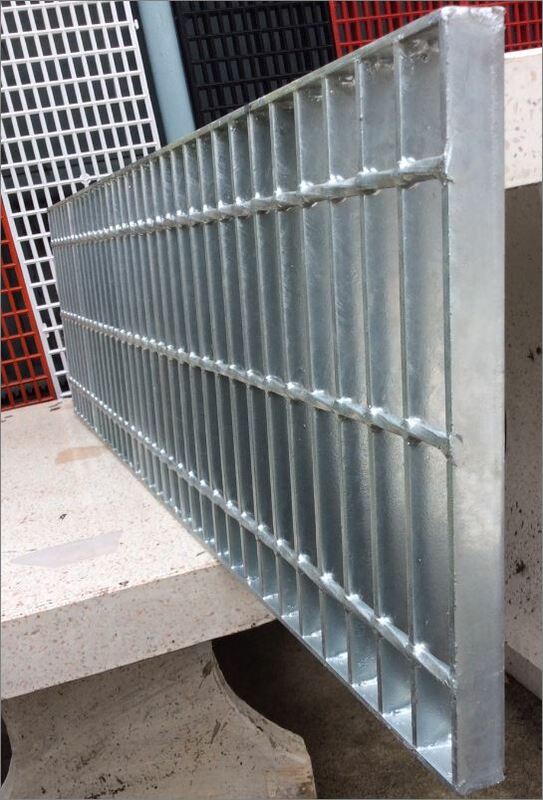 25x100cm and 30x100cm drainage grilles are standard sizes. The company has stock available to customers to receive the goods immediately without waiting for production. 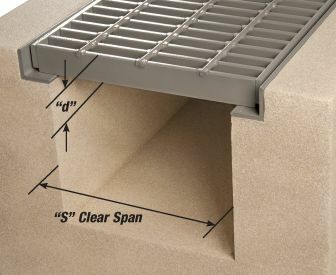 In addition to hot dipped galvanized steel gratings, customers can also select different types of drainage grids. 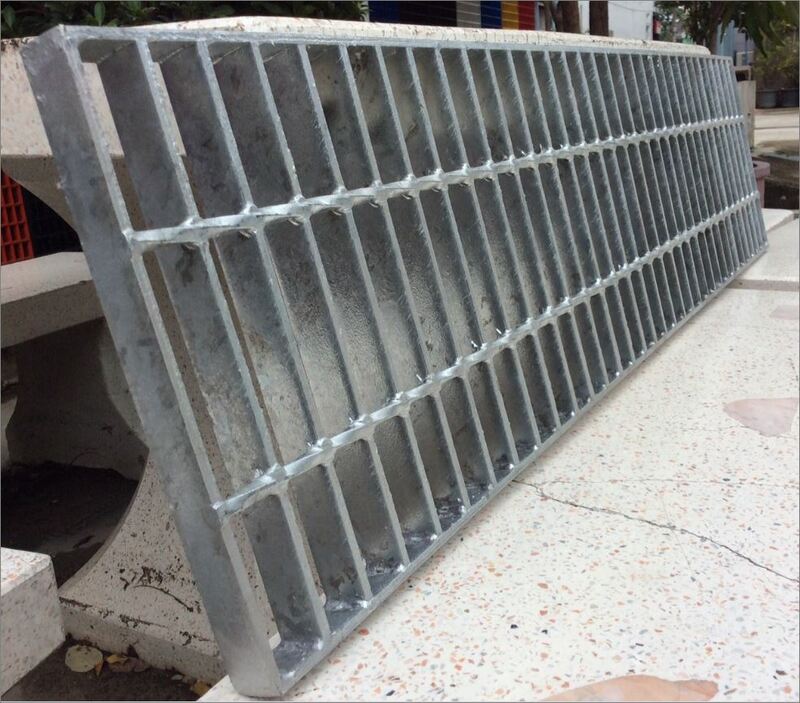 It is suitable for use in areas such as Overflow Swimming Grating, PVC Overlay Swimming Grating, PP Polypropylene Grating and FRP FibreGlass Grating. 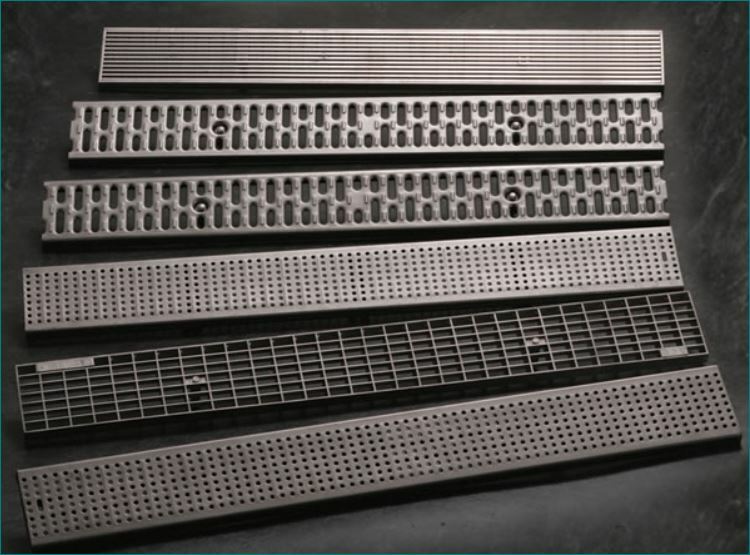 Manufacturers who specialize in all types of standard drainage grilles include steel ladder, anti-slip rails, drainage. Grille Drain hose Suitable for kitchen, cafeteria, factory, department store, bazaar, swimming pool, fish pond, raised walkway, etc. In the case of the existing drain. But not designed to have a shoulder to support the l. If the drainage grid is to be placed on top. I do not like it. And not safe from the movement of the sieve on the top. This is a modified work. In case of no preparation It must be made of steel plate protruding on both sides. Even if it is not very strong. The skin stumbles slightly. 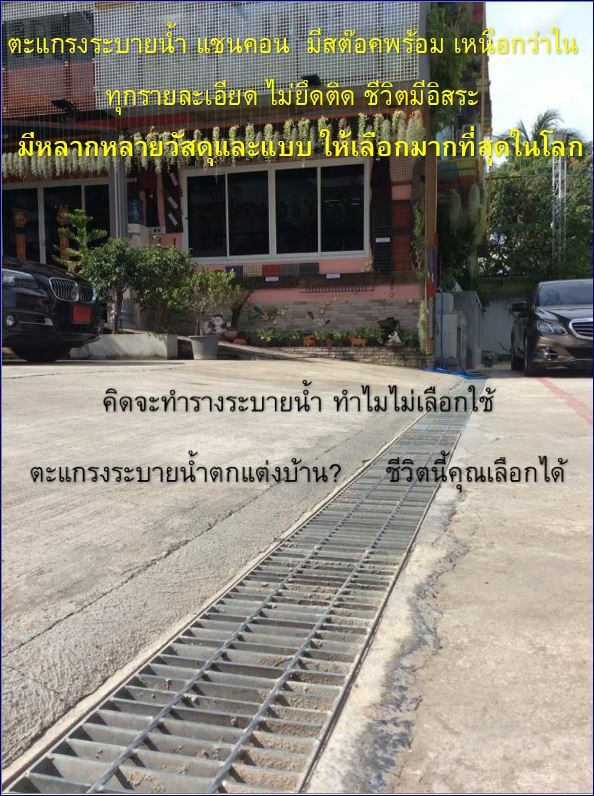 But the grate plate does not move away. Safe and beautiful. Shoulder bag The design is higher than the sieve height. If the grid is always high, the iron must be adjusted to the same height. It requires a lot of budget and may be overkill, as there are no cars running through the top. To save money and make the grill can always be placed on the floor. We only added the side of the grill to fit the shoulder. For example, to increase the height of the sieve, such as increasing the height from 25mm to 50mm. 2. Selection of quality materials. Made from standard steel, TIS cut steel and assembled into a modern machine. 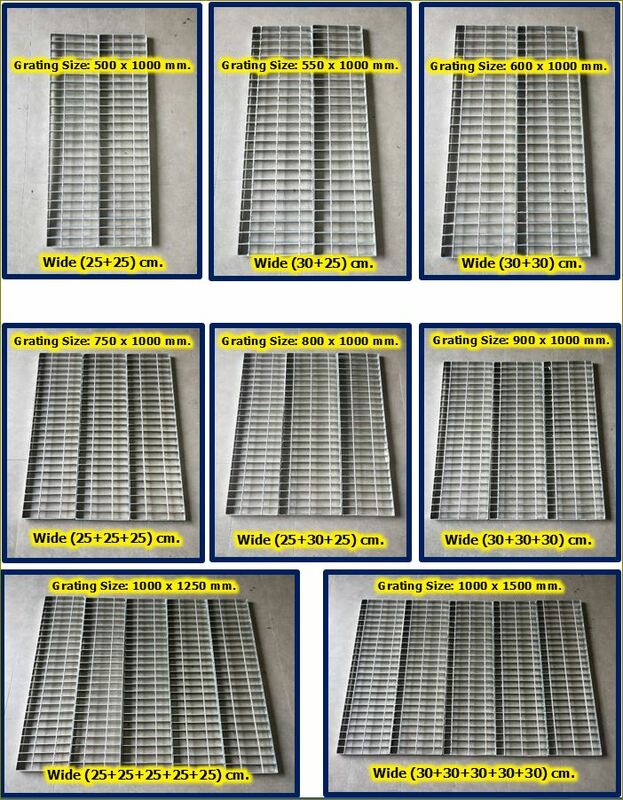 The professional steel grate manufacturer for more than 20 years. 3. 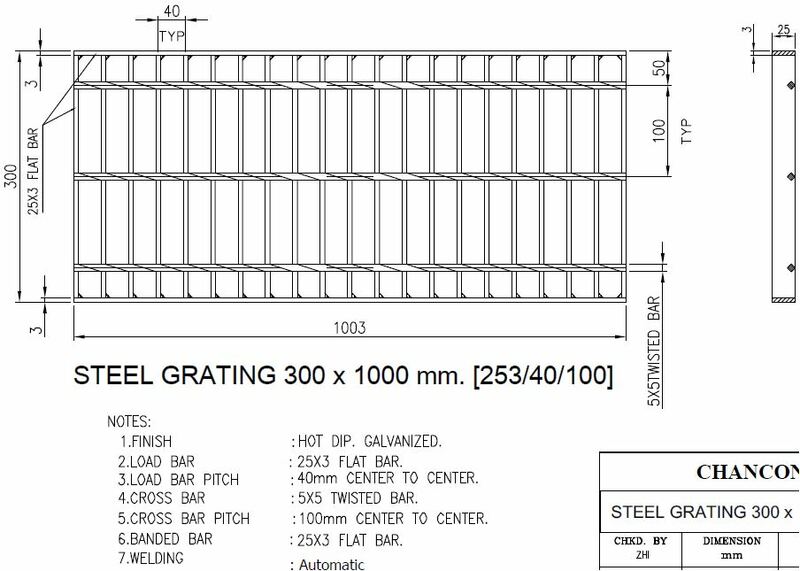 Shancon Steel Gratings Use twist rod twist rod, non-slip, cohesive with flat bar welding with CO2 / MIG system, which is electrically welded to the same steel. Please check the welding work to compare with manual labor. Guarantee quality work that customers must prove before deciding. Based on The size of the hole is the same. The melting is all on one side. Zinc plating thickness over 75 micron. Strong and resistant to erosion longer. 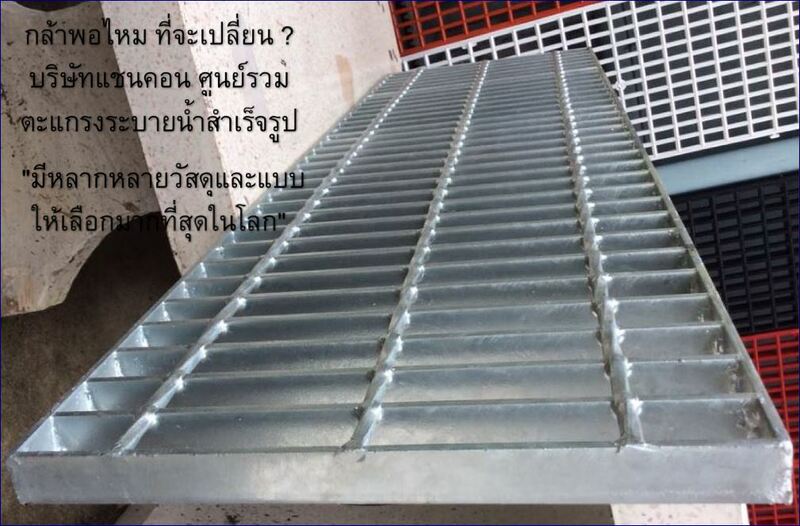 Galvanized steel grating Or galvanized steel grating The purpose is to protect the iron grates from rust. Anti-corrosion Extend the life of the steel grate. There are many types of plating. 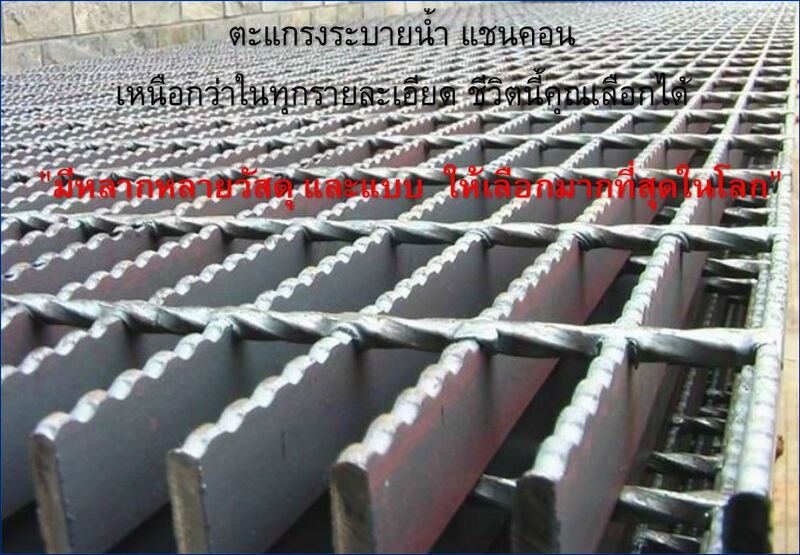 In Thailand, there are 2 popular types of galvanizing. 1.Hot dipped galvanized or hot dipped galvanized is dipped steel into a molten zinc bath. 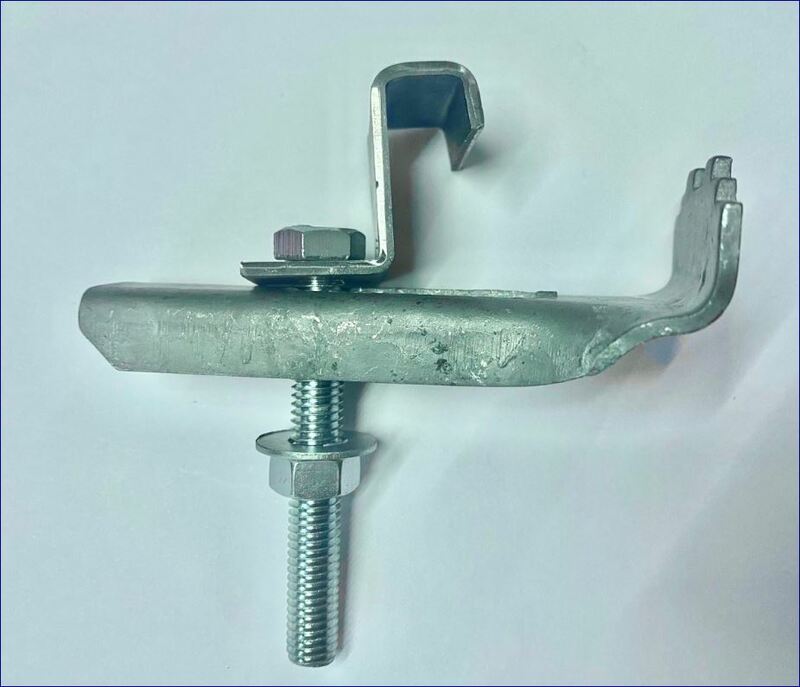 This type of plating is suitable for high durability, exterior work, heavy duty environment, alkaline conditions, plating thickness 65-300 microns. 2. 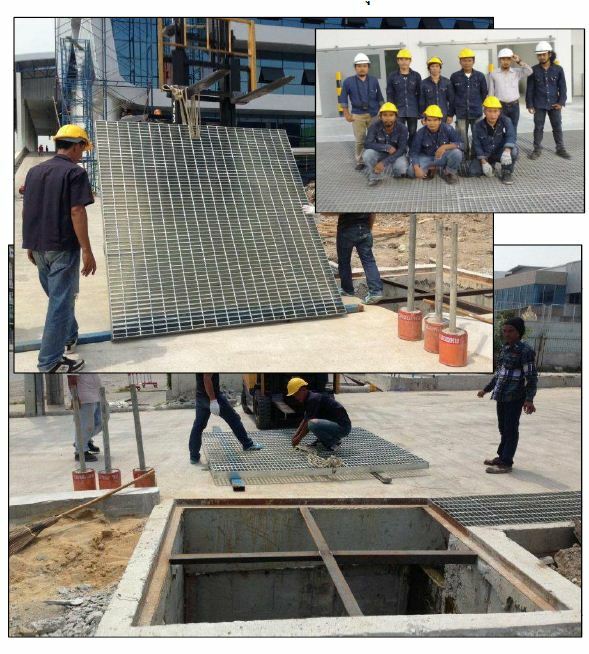 Design requirements Specification Check the specifications of the designer before deciding on the method of galvanizing. What is the thickness of the plating? If the information is not detailed. Ask the designer before deciding on the method of plating. 3. Size of workpiece Check with the galvanizing plant how large the plating can be. Because each plating factory Different sizes of plated ponds. Should be checked before sending to plating. Caution if the workpiece is to be welded. The workpiece should be finished before plating. Due to the welding, the surface will be blackened and burned. And may be the cause of the close. If it is necessary to galvanize the workpiece prior to assembly and installation, it is recommended to use a zinc coloring compound at the point of welding and the point where the black marks to cover. And the color harmony as well as prevent the close as well. 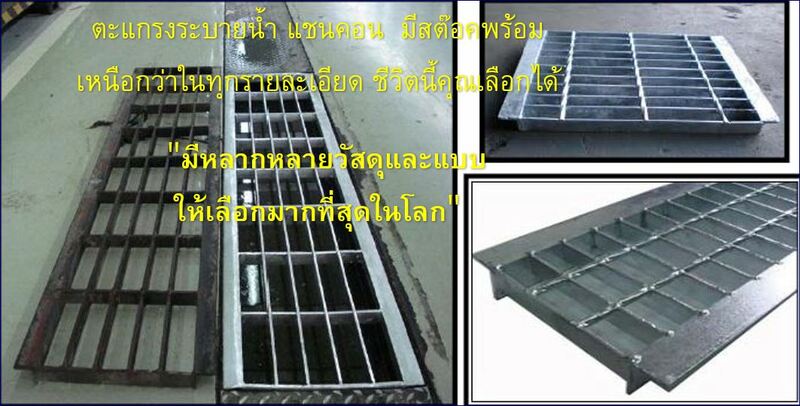 Metal Bar Grating គឺជាស្នាដៃនៃទីផ្សារឥដ្ឋនិងបានបម្រើឧស្សាហកម្មអស់ជាច្រើនទសវត្សមកហើយ។ នៅក្នុងសមាមាត្រកម្លាំងរឹងមាំដែលប្រើបានយូរនិងរឹងមាំរបារដែកអាចត្រូវបានប្រឌិតយ៉ាងងាយស្រួលទៅស្ទើរតែគ្រប់សណ្ឋានទាំងអស់។ របារក្រឡាចម្អិនការថែរក្សាដោយឥតគិតថ្លៃនិងផលិតផលទាំងអស់ត្រូវបានកែច្នៃយ៉ាងពេញលេញ។ ការបាសអាចត្រូវបានរចនាឡើងសម្រាប់កម្មវិធីជាច្រើន។ ការតុបតែងបារគឺជាជម្រើសដ៏ល្អមួយសម្រាប់គម្រោងដែលមានចាប់ពីផ្លូវរទេះនិងជណ្តើរទៅជាជញ្ជាំងនិងកម្រាលដែក។ ត្រូវបានប្រើជាលោហៈធាតុដែករបារគ្របគ្របដណ្តប់នៅជាន់ដែលតម្រូវឱ្យមានពន្លឺរាវខ្យល់កំដៅនិងសំឡេងដើម្បីហុចរវាងកម្រិតកម្រាល។ ទន្ទឹមនឹងនេះដែរក្រុមហ៊ុនឧស្សាហកម្មជាច្រើនបានដាក់របាររបស់យើងដើម្បីប្រើជាកម្រាលជាន់សម្រាប់ហេតុផលទាំងនេះនិងច្រើនទៀត។ ឧទាហរណ៏បណ្តាញដែកថែបកាបោនរបស់យើងផ្តល់នូវការក្តាប់បន្ថែមនៅពេលដើរនិង Titeweld របស់យើង។ របារធ្វើឱ្យវាអាចប្រើបានជាអតិបរិមានៅពេលរមូររទេះកង់រទេះរឺរថយន្តកំពុងប្រើ។ នៅលោហៈដោយផ្ទាល់អាលុយមីញ៉ូមនិងបណ្តាប្រភេទអាលុយមីញ៉ូមសុទ្ធតែបង្កើតបានជាបន្ទាត់ផលិតផល។ ភាពខុសគ្នារវាងអាលុយមីញ៉ូមនិងដែកថែបគឺជាអ្វី? សូមក្រឡេកមើលពត៌មានអំពីលោហៈធាតុខាងក្រោម!